Let’s try FrontSide(F/S) Pop Shove-it when you get used to doing Pop Shove-it. It may look harder than pop shove-it but it is going to get easier and you can take it to many places once you understand how to do it. So take your time and practice after learning pop shove-it. 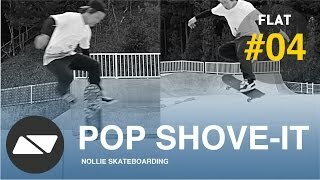 What is F/S Pop Shove-it? F/S Pop Shove-it is a trick pops and spins skateboard opposite side to pop shove-it using your back foot. It is an important basis for many tricks such as varial heelflip, hardflip, and lazorflip. How To F/S Pop Shove-it? First of all, you have to be able to ollie to start trying this trick. If you know how to pop shove-it, it is easier to imagine how to make a spin so people usually learn normal pop shove-it first. Stance is similar to ollie. Your back foot is on little heel side. Front foot is same as ollie. Put power to middle of the toe. You are going to kick side of the tail with this part of foot. 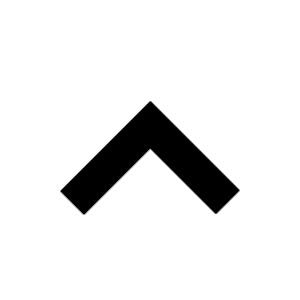 Your weight (Center of the Balance) is on center of the board. Your body turns side. Look around your front foot and nose. Make sure you can see spin of your board. Same as pop shove-it, this is the most important key to F/S Pop shove-it. Kick side of the tail with your back toe. It is like serving tail to your front foot. You are not using your front foot to spin your board. Pull it up as soon as you kicked tail and try not to disturb spin of your board. When you kicked tail correctly, your board spins right away and tail comes around your front foot. Keep watching your board’s spin and catch it with your front foot. How To Practice F/S Pop Shove-it? Since you do not really use your front foot, It is not going to take long time to learn this trick comparing to kickflip. You can naturally catch your board in the air. But side rotation tricks including pop shove-it have a risk of hitting leg and rolling ankle. So try not to go land it with two feet when you are not clear how to spin you board. Once you get how to make a spin go land it but do not forget to practice carefully.